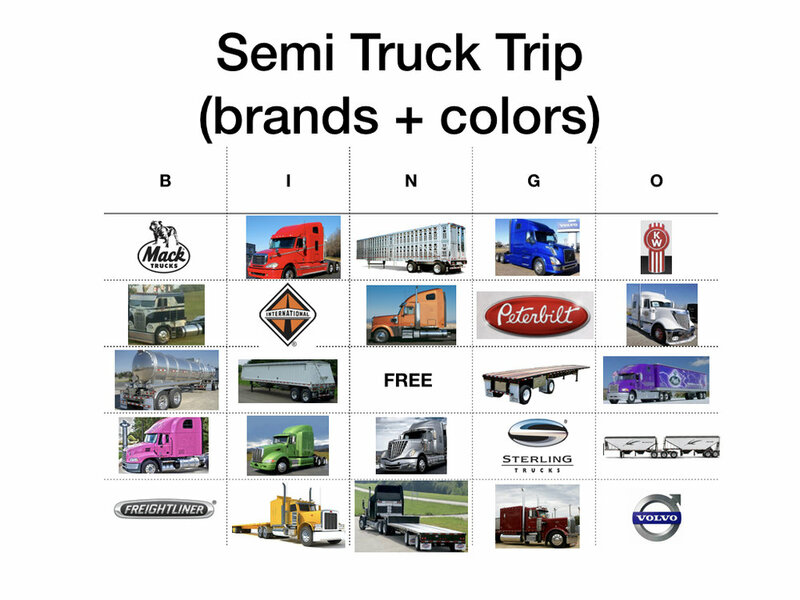 Today's BINGO road trip board is all about semi trucks. My boys are obsessed with trucks, brand, style, paint jobs, sleeper, chrome pipes you name it they comment on it. So, here is a road trip BINGO board for those of you who have passengers equally semi-obsessed. AND the competition continues for these BINGO cards- and there will be PRIZES!!!! BUT.... wait there is a BONUS, we will put your name in 10x if you take a photo of EACH item that got you to BINGO in a ADDITIONAL post on Facebook or Instagram and tag @farmfemmes in your post.